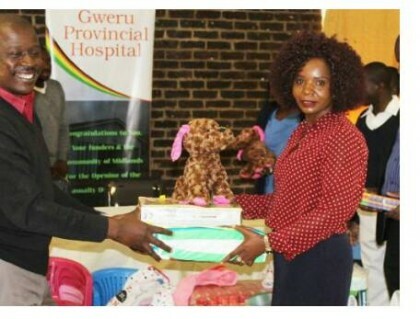 The Midlands State University (MSU) Marketing department recently donated goods worth $2000 to Gweru Provincial Hospital Pediatric ward as part of their social responsibility endeavors. Donated goods comprised of sheets, toys and clothes. Adressing lecturers, students and hospital personal at the handover ceremony MSU Marketing chairperson Mrs Miriam Mugwati said that the donations will go a long way in assisting the difficulties that mothers go through when their children are sick. “This donation is targeted to assist nursing mothers, and the disabled within the society, our donation today will make sure that the city of progresses well,” said Mugwati. Acting Gweru Provincial Hospital Medical Superintendent Dr Tendai Chandaengerwa expressed joy and appreciation towards the donation. “Since the hospital is a referral health centre, thank you for thinking of the little children, ”said Chandaengerwa. Meanwhile the Public Relations Officer for Information and Publicity Mirirai Mawere said it is part of the university’s corporate social responsibility to give back in to the community. “The donation is part of the university’s corporate social responsibility, to support the community through various activities,“ said Mawere.